Fri., Aug. 26, 2016, 5:41 p.m.
SEATTLE – Sounders and U.S. national team forward Clint Dempsey is undergoing medical evaluations for an irregular heartbeat, the club announced Friday, and has been ruled out for this Sunday’s match at Portland at the very least. A more specific recovery timetable – be it for early next month, later this season or beyond – is on hold until Dempsey undergoes further testing. Dempsey, 33, played in all 90 minutes of Seattle’s 3-1 win against Portland last Sunday at CenturyLink Field but did not travel with the team to its midweek game at Houston. Dempsey had been dealing with related health concerns throughout the 2016 season, according to club sources, until the issue came to a head prior to the official diagnosis this week. This is less a one-off than the narrowing down of a question that had lingered beneath the surface. Dempsey will also miss the upcoming U.S. men’s national team camp ahead of its pair of September World Cup qualifiers. There was open speculation about Dempsey’s USMNT future earlier this year – when he chose not to attend the squad’s January camp – but those were put to rest by his standout performance at Copa America Centenario. 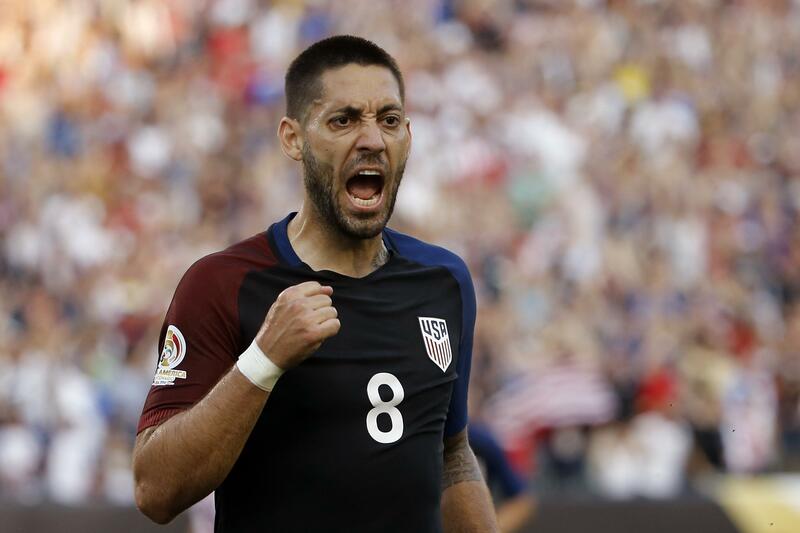 Dempsey was the U.S.’s top goalscorer as the team reached the semifinals, leading coach Jurgen Klinsmann to hint that the veteran forward could stick around through the 2018 World Cup. A bipolar energy hung over Starfire Sports on Friday morning, the anxious crackle of Portland week cut by sobering news about one of the team’s leaders. Lagerwey had to walk past the Heineken “Boot Room” bus parked beside the practice fields for rivalry week en route to give his Dempsey update. Dempsey has played in 17 MLS games so far this season, netting eight goals and adding two assists. Aside from the half-seasons necessitated by moves between clubs, he has never made fewer than 20 appearances in a campaign going back to his rookie season with New England in 2004. “All our thoughts go out to him and his health,” Schmetzer said “He’s got a family, so his health is No. 1. When I talked to Clint yesterday on the phone, he was upbeat and positive. He wants us to do well on Sunday. From there, it’s out of my hands. Published: Aug. 26, 2016, 5:41 p.m.